The draw was made by Poland-based top-class handball players Petar Nenadic (Serbia), Ivan Cupic (Croatia), Julen Aguinagalde (Spain) and Slawomir Szmal (Poland). The overview of all seven qualification groups is available on eurohandball.com. Presiding over the event were President of the European Handball Federation, Jean Brihault, President of the Polish Handball Federation, Andrzej Krasnicki, and EHF Secretary General, Michael Wiederer. Poland will host Europe’s flagship national team handball event from 15 to 31 January 2016, and will be the 12th country to host the 12th edition of the Men’s EHF European Championship. 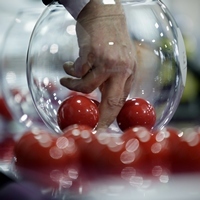 Nine teams began the race to EHF EURO 2016 in 2012 with three teams; Bosnia and Herzegovina, Finland and Switzerland qualifying to phase two from an intermediate round. Now there are 28 teams in the second phase of qualification that will be played from October 2014 to June 2015. The teams in qualification will play in seven groups of four teams each, on a home and away basis, the top two ranked teams of each group and the best third ranked team overall qualify for the Men’s EHF EURO 2016 in Poland. The defending champions, France, do not qualify directly for the final tournament, which mean that 15 places are available in the final tournament.